With over 80 species of animals including lions, tigers and bears. The park is committed to animal conservation and is involved in international breeding programs to help save endangered species, and includes one of the world’s largest hoofstock facilities – The African Ungulate Conservation Centre, as well as an Asian elephant facility.  At the heart of Woburn Safari Park, The Safari Lodge provides one of the most fun and exciting venues in the region. The large veranda boasts stunning views of Desert Springs and Swan Lake and offers your guests the perfect relaxed atmosphere for all types of events. The Safari Lodge is delightfully different, offering you and your guests something undeniably special and can accommodate up to 104 cabaret style or 220 theatre style allowing space for catering. Or if you wish to divide the room in half we can accommodate up to 76 cabaret style or 140 theatre style in one side with space for catering/break-out sessions in the other half. Woburn is in a great location just 2 minutes from Junction 13 of the M1 (and 5 minutes from the A5). We are just one hour from London, Birmingham, Oxford and Cambridge. Trains run from London Euston to Milton Keynes and St Pancras to Flitwick, plus Luton Airport is just 25 minutes away.